Here are some key charts based on data from the United States’ Energy Information Agency’s (EIA) latest report that explains the level of inventories, refinery demand, and production. 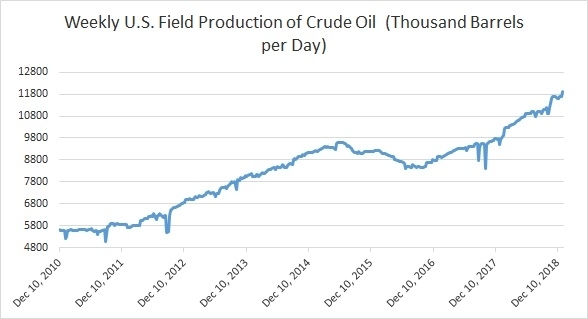 Chart 1 shows crude oil production in the United States reached a new record high of 11.9 million barrels per day. Chart 2 shows the level of U.S. distillate inventories. According to the latest report, the inventory rose last week rose to 143 million barrels. U.S. oil imports have been declining over the past couple of year. But, it has gone up rapidly in recent times thanks to higher refinery demand. Last week, it declined to 7.53 million barrels per day. Chart 4 shows the level of U.S. crude oil exports, which rose to a new record high of 3.2 million barrels per day last month. Last week, it was at 2.6 million barrels per day. Average exports are rising steadily. Chart 5 shows U.S. refinery operating at 94.6 percent. Refinery intake picked up recently but still lower than 98.1 percent a few months ago, which was the fastest pace since 1998. Chart 6 shows the level of crude oil inventories, which has declined around 114 million barrels since its peak in April 2017. Inventories declined last week to 437 million barrels.